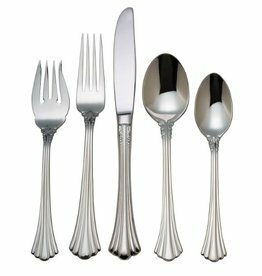 The Albergo Salad Fork has deep relief outlines that add subtle dimension to the teardrop shape of this flatware. Elegant pearlized handles with the strength of high-grade acrylic and 18/10 stainless steel. The embossed dots on this whimsical flatware are not only evident to the eye but to the hand as well. In dishwasher-safe, tarnish-resistant stainless steel. 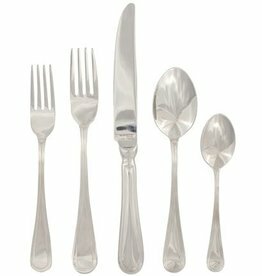 With its uncomplicated design, this flatware is perfect for formal occasions and lends excitement to your more casual meals. A frosted finish on the handles makes for a stunning, subtle presentation.